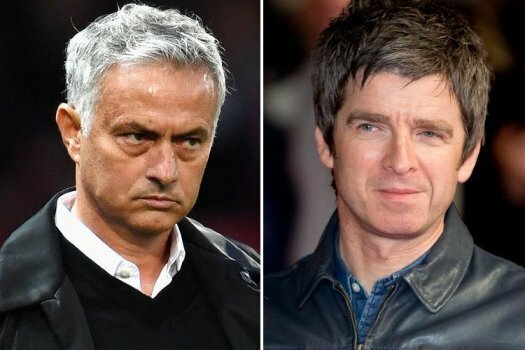 Noel Gallagher has had a dig at Manchester United manager Jose Mourinho, saying he is doing a ‘great job’ in charge at Old Trafford. Speaking to Alan Brazil Sports Breakfast in the studio on talkSport earlier today he said “It’s unbelievable at Manchester United,” he said. “I think he’s doing a great job though! “It’s really, really great to see for City fans, particularly as the United fans had that banner up for 30 years about us not winning a trophy.“Every day that goes past and that club is in turmoil is a great day.“They’ve lived through that period Liverpool went through, when you couldn’t see them not winning the league.“But they’re floundering at the minute. There’s no plan. “They’re saying Jose is going to go, but the only thing that is keeping him in the job is the fact there’s nobody there to take it. “Zidane? He doesn’t speak English – it would be chaos. That club is in a chaotic state. He also said the club are paying the price for unwisely splashing the cash in the transfer market, while City have made a host of shrewd investments. “He’s spent a lot of money, but he just hasn’t bought very well,” the former Oasis star added. “Then there’s that famous footage of the guys on Sky Sports when we paid all that money for Kevin de Bruyne, and they were all shaking their heads and saying it was crazy money for him. “United, on the other hand, seem to be just buying big money players without a plan. “I think the thing that separates Liverpool, Tottenham and City from United, is that they all seem to have a plan, but United seem to be just scattergun-buying players.